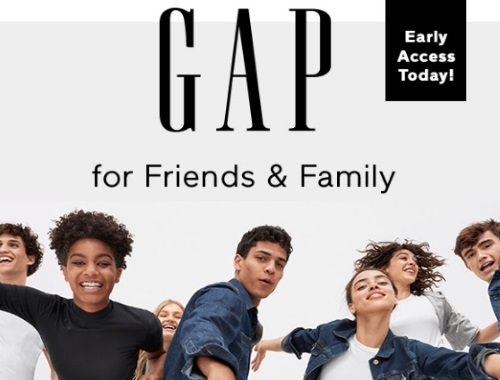 Gap's Friends & Family Event is coming up and we have an Early Access code for today! Save 40% off everything no exclusions online and Gap factory stores and 50% off at Gap stores only (excludes markdowns) now through August 6. Enter the promo code CASALE to get the discount today. Also all online orders ship for free! Also earn $25 in Gap Cash for every $50 that you spend through September 12 (spend it from September 13-18). Click here to browse Gap Canada.